1.Contact your Congressmen to make sure they know you want them to vote to support troops pay, medical and housing allowances. RIGHT NOW the Senate has passed the following: Troops would get a 2.1 percent pay raise in 2018 under a Senate bill approved late Monday (9/18/17), but married military couples with dependents would potentially lose hundreds of dollars a month due to a new cap on housing allowances. The upper chamber of Congress approved its version of the $700 billion defense authorization act by a vote of 89-8. Also let them know that many enlisted troops qualify for food stamps. Honor them by demanding that pay raises make that history. Work with your church to set up an outreach to military families. Contact your local Guard or Reserve unit to discover their deployment schedules. Offer your services to families to help with car maintenance, mow their lawns, or babysit. Take a parent of a deployed service member out to lunch. Donate to the Wingman organization for fallen aviators. If you live near a military base volunteer at the local elementary school. Military kids need surrogate extended families and the support that comes from having a standin aunt or uncle or grandparent. Volunteer with Wear Blue: run to remember. Attend a memorial service on Memorial Day. Call the family of someone deployed and ask to send a care package. Send one to the family as well. 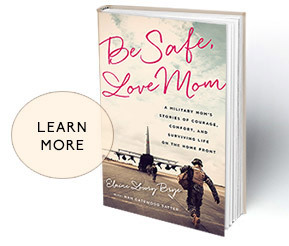 Encourage your children to consider military service. Invite a veteran to your home to share their stories over a meal. Donate to brain research so we can untangle the mystery of PTS and TBI. Well deserve. They give so much, for so little. My prayers and blessings to all who serve. 💕.